The Beach House is a fully modernised Hebridean house situated on the picturesque Isle of Tiree coastline — officially recognised as the sunniest place in the British Isles. 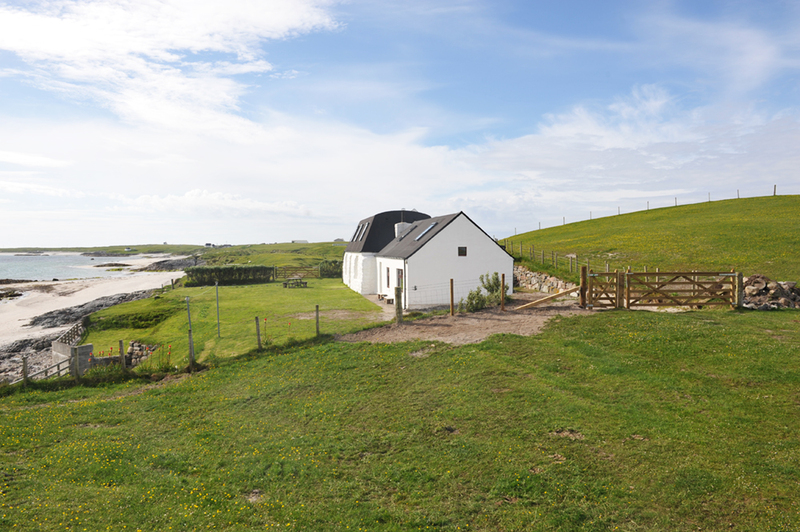 The Beach House is located in a beautiful setting on the Tiree coastline with beautiful views across the Gunna sound to Coll and far beyond. 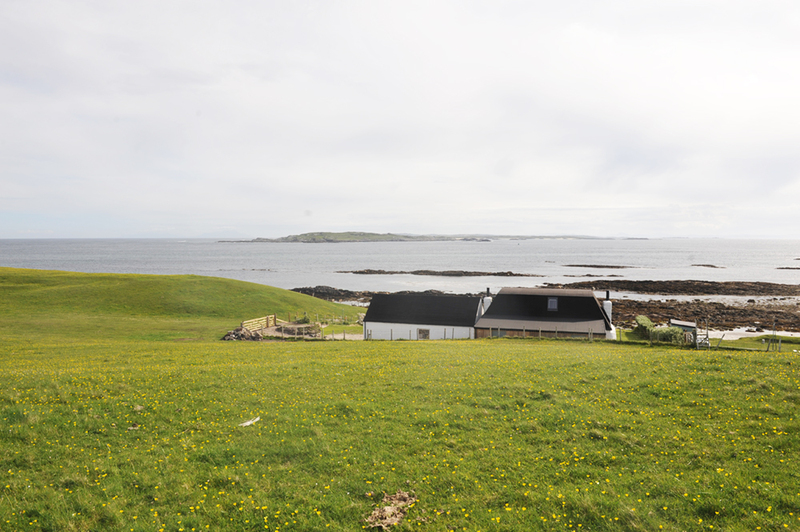 It has an enclosed garden and from here you can walk straight on to Caolas beach. It is in a quiet spot where you can often watch seals, basking sharks, plenty of bird life and even otters without leaving this magical place. If the sun is out the colours of the sky, sand and sea are truly tropical. And if a storm is brewing, it’s an excellent place to watch the drama unfold. In the distance you can see Munroes on the mainland as well as Mull and the Cuillin of Skye and Rhum. Located at the eastern end of Tiree, the Beach House is a 15 minute drive to the ferry pier and the local shops at Scarinish. Boasting contemporary cosy interiors, breathtaking views and a picturesque location, we believe the Beach House is a truly magical place to visit and stay. The Beach House has three bedrooms (one double and two twins) and sleeps six people comfortably. 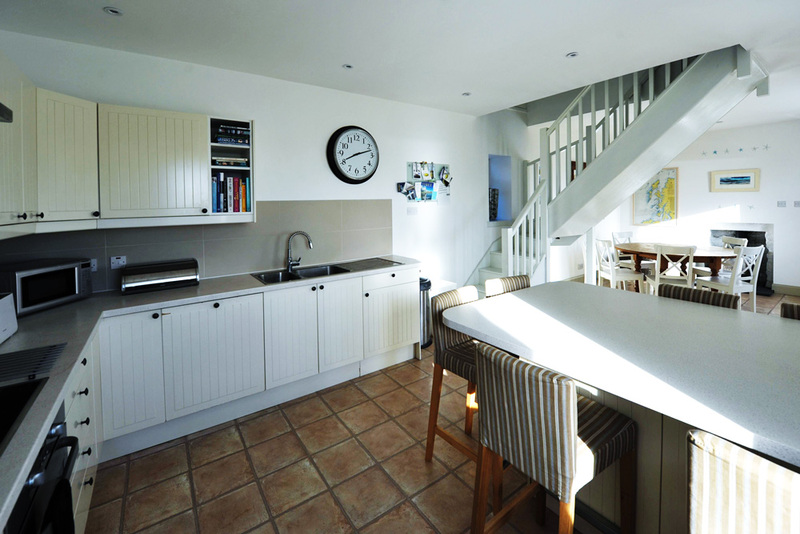 Upstairs there is a family bathroom with a combined bath & shower, and downstairs there is also a large shower and WC. 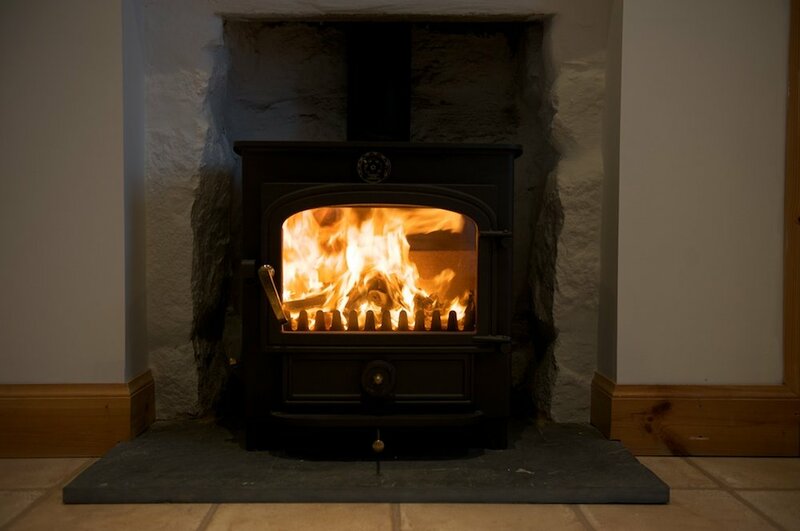 There is a well equipped and spacious kitchen and dining area complete with cosy wood-burning stove and a FreeSat enabled flatscreen TV. The sitting room is home to a FreeSat enabled flatscreen TV and a DVD player. The utility area is equipped with a washing machine, tumble dryer and provides ample storage, complete with drying racks, boot trays and coat hooks. The Beach House has high-speed wireless broadband. The Beach House is the perfect retreat for family holidays, surfing & kite surfing breaks, yoga practice, writing books, painting or just relaxing and enjoying the island’s rich and diverse wildlife. Tiree holds the record for being the sunniest place in the British Isles. The island is popular for wildlife watching, surfing, kite & wind surfing, and offers fabulous sandy beaches ideal for walking and beach-combing.